Emboldened by their just-squeaked- by 11-9 vote, the SAD 54 board chose a path that demonstrates its simple majority has no understanding of the concept of institutional racism. Frankly, it’s understandable to be ignorant on this issue of institutional racism. I know personally, as the author of “Baseball’s First Indian,” I once thought it would be okay to have the team nicknamed the “Indians” to honor Louis Sockalexis, the Maine Penobscot Indian who inspired the nickname in the first place — if the racist caricature of Chief Wahoo were eradicated. Today, I recognize the Cleveland Major League baseball franchise not only doesn’t understand the nickname originated out of derisive racial prejudice but also doesn’t recognize there wasn’t really any instance where the nickname and mascot were anything but symbols of institutional racism. It is wrong to continue to condone institutional racism. As an American society, we are just waking up to the fact that we are continuing to treat our indigenous peoples with the same inhumanity that we once reserved as well for Afro-Americans, Hispanics and Latinos, and other peoples of color. Of course, we’re now horrified by segregation and the Jim Crow laws, but walk around America in the 1950s and it’s all quite acceptable. No one seems to have caught up to the fact that treating Native Americans as second class citizens wasn’t right back then and still isn’t right. So, it is one thing to be ignorant about the concept of what institutional racism is, to be ignorant about the national trend to end the use of Native American nicknames and mascots, and even to be ignorant concerning the basic fact that Skowhegan Area High School is the last school in Maine to be senselessly offending its Native American populace and the rest of our state by defending the use of same. But the time for allowing those who choose to remain ignorant has passed. Indeed, nine courageous, forward-thinking members of that same school board voted to end the insidious practice. They saw and acknowledged an ever-growing national trend to end such nicknames and mascots. They understood that, in Maine, their school is the only school doing this, meaning their school and their communities will face a campaign that will not end until the practice ends. The potential for more embarrassing and humiliating negative publicity – like “scalp towels” – remains until the practice ends. Yet, sadly, it was these principled members of the SAD 54 board who found themselves confronted by their colleagues who bullied them, threatening them with the ends to their terms on the board. Indeed, one school board member, who voted to end the use of the nickname, refused to run for re-election recently because of the bullying and threatening she endured. Thus, it’s almost theater of the absurd to find our “not your mascot” campaign charged with “bullying” tactics for coming to the SAD 54 community to debate the matter. It’s even more ridiculous to find our campaign members slandered as “outsiders.” That charge is almost too laughable to require a response. Our indigenous peoples were massacred in this very region and the survivors, of course, were pushed off these very lands and onto reservations. Hardly “outsiders” if you understand anything about history. It’s hardly bullying to come to the last offending school district in Maine and make our continued plea to be treated as respectfully as we have in almost all other communities of the state where this issue previously existed. Indeed, when asked why all the other schools have changed nicknames and mascots, the pathetic response made back to us is that it is because our campaign has “threatened” all these other communities. Fact: Twenty-eight other schools and communities throughout Maine have stopped this practice. Fact: With only the possible exceptions of Sanford, Wiscasset, Scarborough and Old Town, there has not been the least bit of “coercion” (meaning the presence of Native American speakers, etc.) necessary. Most of our Maine communities, to their credit, made the change on their own without any fanfare. Fact: Yes, individual Native Americans can be found and counted who are okay with such nicknames and mascots. That doesn’t answer the question about what is the right thing to do. 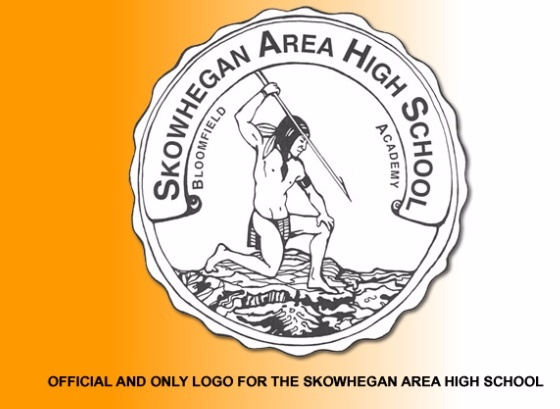 It is public record that Maine’s four tribes have, in writing, asked Skowhegan Area High School, to, respectfully, please end its use of a Native American nickname and mascot. Finally, when will the “Save the Mascot” crowd finally understand there is no reason whatsoever for a school mascot to be offensive — to anyone?